文化庁補助事業：オりーブ日本語教室「話せばあなたも関西人！！」【無料】Kansai Dialect class for foreigners for free! For intermediate and advanced. 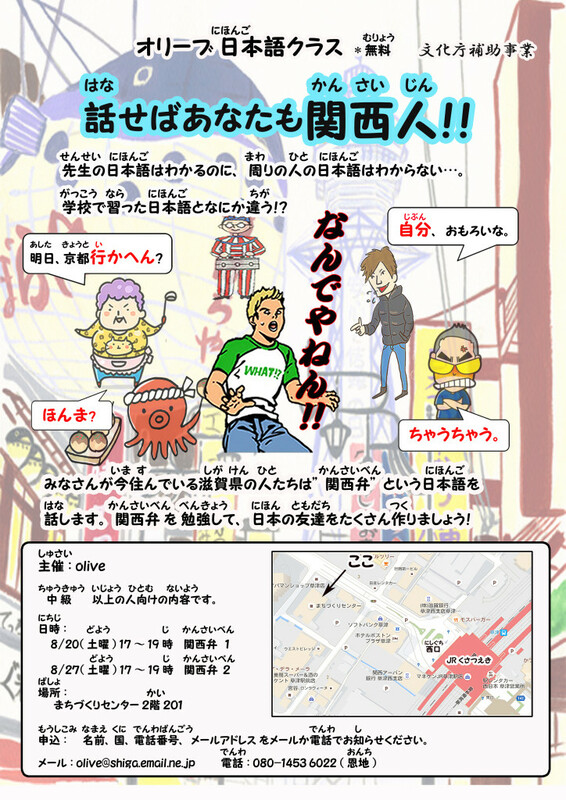 As one of Japanese class supported by the Agency for Cultural Affairs, Olive , a volunteer group teaching Japanese language, is going to hold Kansai Dialect class for intermediate and advanced learners . The class is consists of two lessons, Kansai-ben 1 and Kansai-ben 2. You can participate in the class for free! !